Could coffee be key to asking for a raise? The next time you think about asking your boss for a raise, hand them their favorite hot coffee of choice. 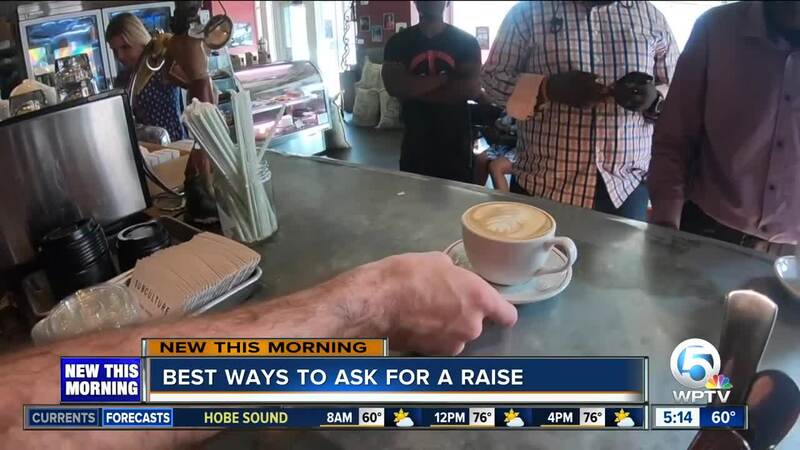 WEST PALM BEACH, Fla. — The next time you think about asking your boss for a raise, hand them their favorite hot coffee of choice, not a cold beverage. At least that is what researchers at Yale University say to do. A new study shows people are more likely to give something to others if they hold something warm. The proof is in the smiles seen at a local coffee shop. Researcher said the reverse holds true for an iced beverage. "I think it makes sense anytime you have a cup of coffee, you are generally in a more calm state, in a receptive state," said Sean Scott, the co-owner of Subculture Coffee. The study says people also judged others to be more generous and caring if they held a warm cup of coffee. "It's more of a comfort thing," said Scott. "No one drinks an iced tea when they are snuggling up or an iced coffee, you just don't do it," said Scott. Scott said he expects his employees to now start handing him cups of coffee when asking for a raise.